CNBC is known for its coverage of money markets, including the value of the Yuan, Euro, and Yen. But today, it was covering the Dong. 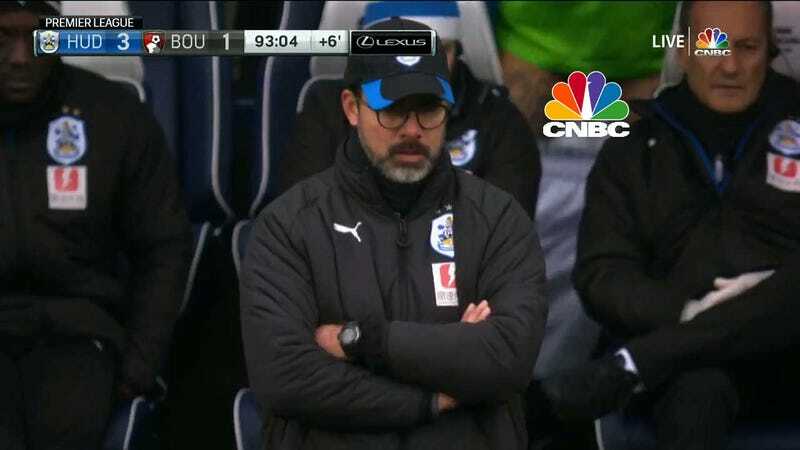 A Huddersfield keeper’s dong, to be specific. To be fair, CNBC has no control over these pictures, it’s all from a central feed, yes, but it’s still early Sunday morning soccer dong all the same.